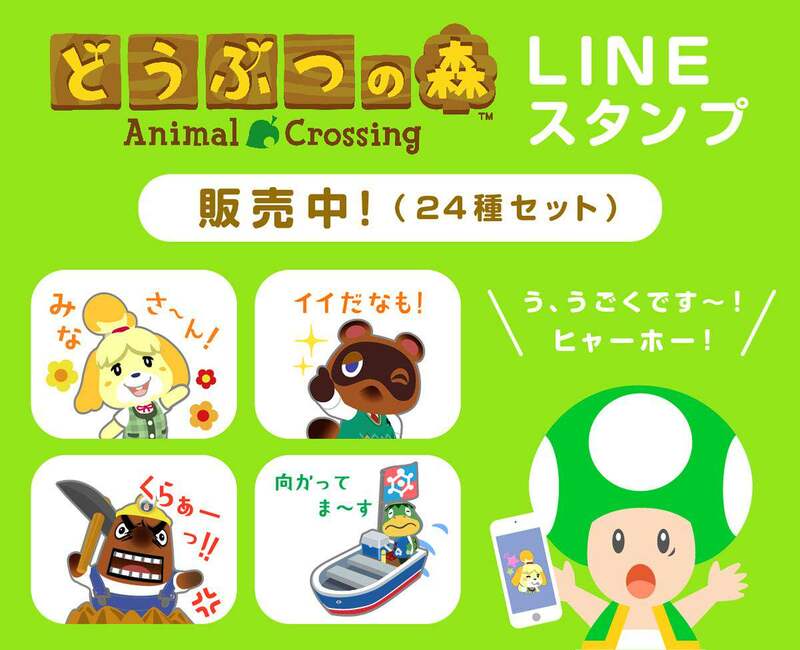 Animal Crossing of all series has actually gotten a few different Apps made for it unlike most other franchises and not all of these are very well known. Before some of these fade to obscurity I thought I’d talk a little about the different apps the franchise has gotten, now this won’t include spin-off games or stuff like the stickers in the Line App which is what the featured image is from. I think Animal Crossing is a series that could have some useful apps but sadly we haven’t really gotten that many great ones. Fist we have the Animal Crossing Clock on the DSi shop but was also readily available on the 3DS eshop for $2. I was ready for anything Animal Crossing but sadly this isn’t it. Having a clock on a system that already has a built in clock is rather pointless but what makes it worse is that this app has to be running for it to work as it can’t run on the background. There goes the function for alarm clock out the window. 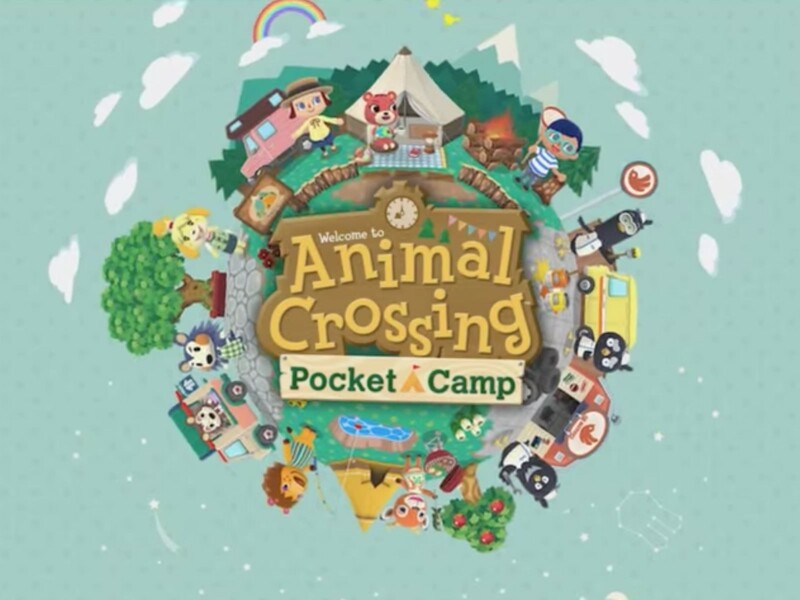 I think a lot of detail could’ve also been put into the app to make it feel more like Animal Crossing and while it lets you change the town tune among other small details it doesn’t have enough in it to make it feel special like having the themes for the hours or changing seasons etc. 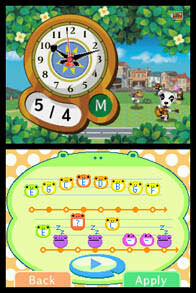 An Animal Crossing clock App could be useful but just not in this form factor sadly. 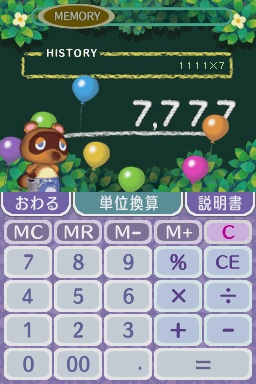 Also for the DSi we had the Animal Crossing Calculator which is also a rather worthless app as who exactly is going to use a basic non-scientific calculator on a gaming system? It even features less Animal Crossing related stuff than the clock and two Tom Nook easter eggs for hitting certain numbers aren’t going to change anyones opinion. The only redeeming options about this app is that at least the DSi or 3DS don’t include a built in calculator and that it has both a unit converter to change stuff like feet to metric, hours etc and an age converter so you can know how much 10 years are in “human years” for a few animals which is a little less scientific but at least goes with the animal theme and you’ll know when your favorite villagers will die. 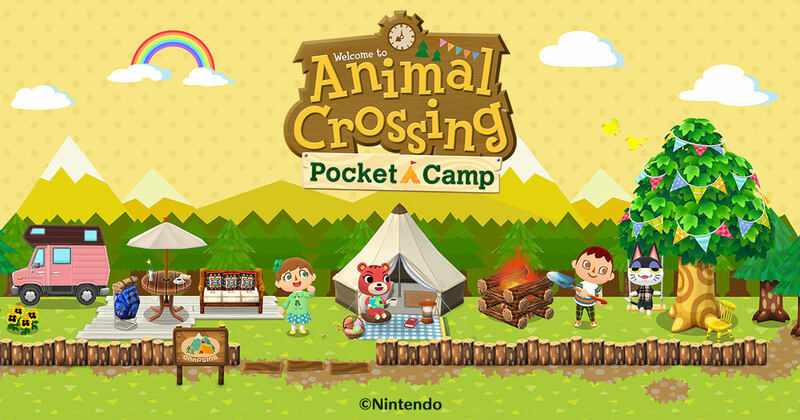 Next we have an app nearly as worthless with this free app, the Animal Crossing Live Wallpaper which is just the Animal Crossing Pocket Camp logo/intro screen as a live wallpaper that you can use on your phone or tablet. But while it works without a problem it doesn’t change for the winter for example or do anything too special. I think I can find better static Animal Crossing wallpapers than this one. Of course we have the Animal Crossing Pocket Camp app which is an actual game an- whoops does this break my no spin-offs rule? Well my review for the game is already here and at least what I can say is that it continues to receive updates and has improved since that initial review was written even if it still has many of those flaws to a lesser extent. 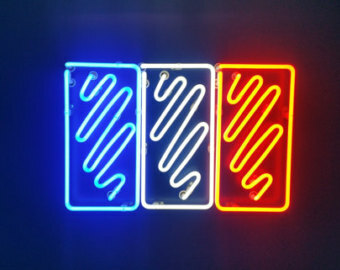 Recommended and so far the best app. Finally we have what was the coolest app, we were all starving for an Animal Crossing on the Wii U since as good as New Leaf was on the 3DS we wanted to see our favorite villagers in HD and interact with them. We knew it was too early for it to come out but Nintendo teased us with the Animal Crossing Plaza channel. 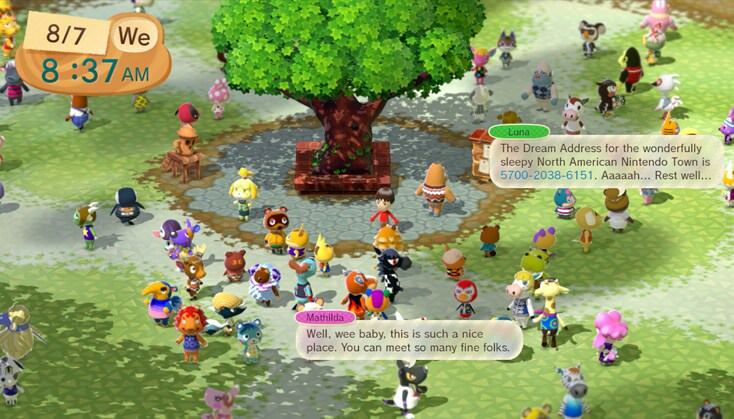 Nearly all the villagers from the Animal Crosing series gathered around this tree and you could talk to any of them, they didn’t really have any dialog but they did send you to their personal miiverse page where you could read other fans posts about those specific animals. It was oddly soothing to be in that app and it made me wish there was more to do there but just seeing all the villagers gather in one place and trying to find your favorites was great. It was only available for a limited time to download oddly enough but even after it “shut down” and also miiverse died the app still launches without a problem. I got to post some thoughts on my favorite villagers on the app in the Animal Crossing Series Community which I guess technically counts as an app even if I’m changing the terms to fit it in here. It worked with both Animal Crossing Plaza and Animal Crossing New Leaf. It was great to read comments on your favorite villagers and posting your own which is rather bizarre but I guess the magic of the games did translate well into it. I do remember checking the app a few months after it was first released and not many people were using them and saw 3 poor villagers had never gotten any messages sent to them since you could arrange them by the number of posts about them. I knew it was my duty to make them feel important and that someone cared and wrote them something nice even if I didn’t know them, I was glad to know others thought similar to me since before miiverse shutdown every villager had at least 6 comments about them. Isabelle of course having this rabid fanbase meant she had thousands but that’s ok, quality > quantity. 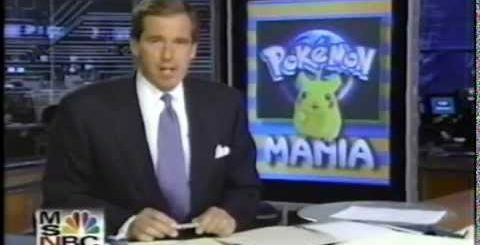 For more Nintendo articles click here. 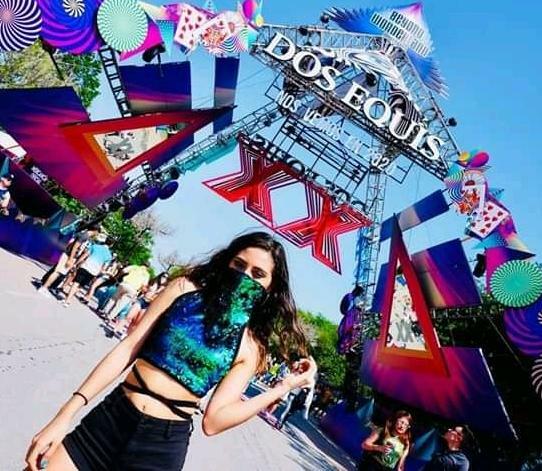 If you enjoyed the article or have any thoughts let me know by commenting below or by tweeting at me. You can also share the article or hit me up an email with your thoughts, it’s nice to hear from other fans.